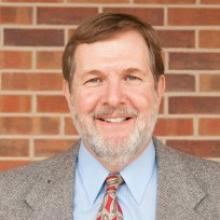 John Lande is Professor Emeritus of the University of Missouri School of Law. Formerly, he was the Isidor Loeb Professor and former director of the LLM Program in Dispute Resolution. He received his J.D. from Hastings College of Law and Ph.D in sociology from the University of Wisconsin-Madison. Before coming to MU, he was director of the Mediation Program and assistant professor at the University of Arkansas at Little Rock School of Law, where he supervised a child protection mediation clinic. Before that, he was on the faculty at Nova Southeastern University and was a fellow in residence at the Program on Negotiation at Harvard Law School. He began mediating professionally in 1982 in California. He teaches courses on lawyering practice, dispute resolution processes, and dispute system design.